For the next few months I will focus on a different city that I visited in a recent trip to the Middle East. 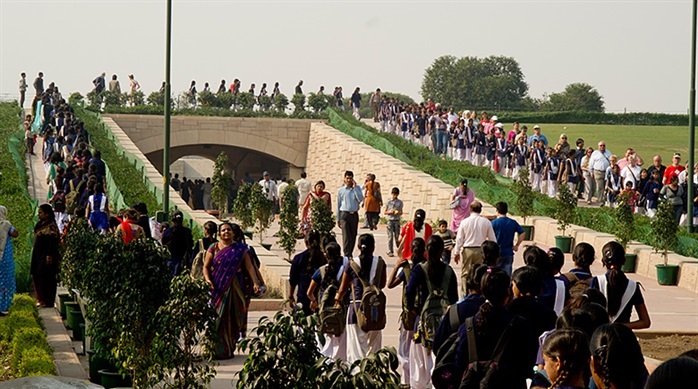 Delhi is the capital of India, the world's largest democracy now boasting 1.2 billion people. The city's population has topped 20 million. 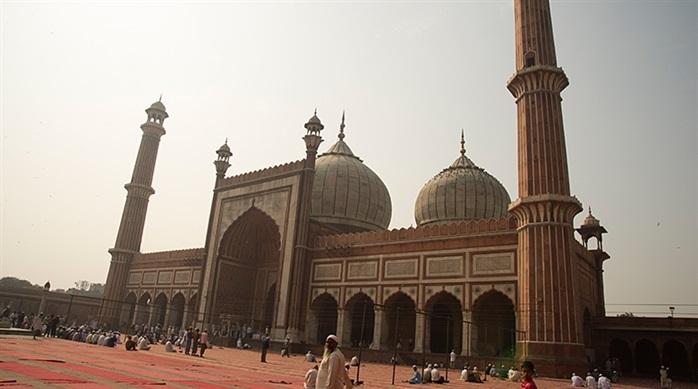 It's only fitting that Asia's largest mosque, Jama Masjid, is located in the capital city. It was constructed by Shah Jahan, the builder of the Taj Majal. It was commissioned in 1656 and took 5000 laborers 6 years to complete. Up to 25,000 worshippers can be accommodated at one time. 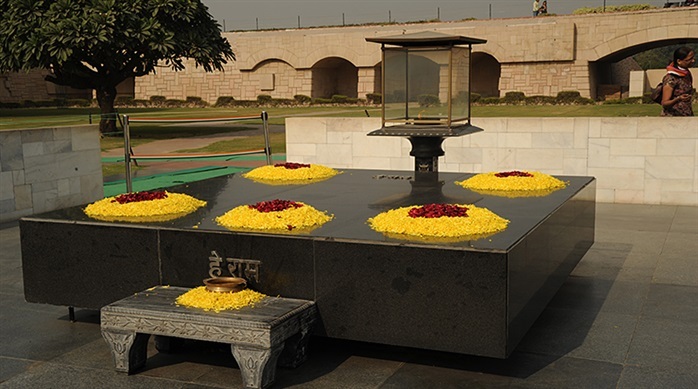 Rajghat is the Memorial where Mahatma Gandhi, "The Father of the Nation" was cremated. Thousands visit the site to pay homage to this courageous, internationally influential man. 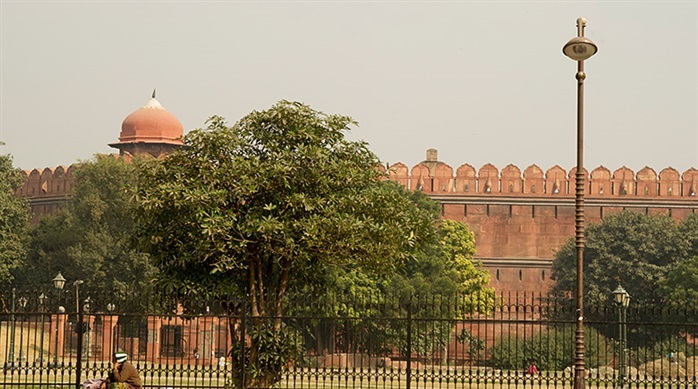 Lal Qila, Red Fort, was also built by Shah Jahn and was the headquarters for the Mughal empire from 1639-1857. It covers almost 1 ¼ miles. 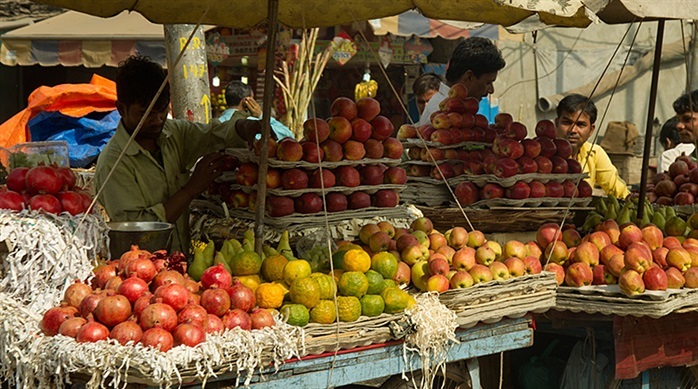 The street scenes are a riot of color as seen in the fabric and produce that fill sidewalks and roadsides.